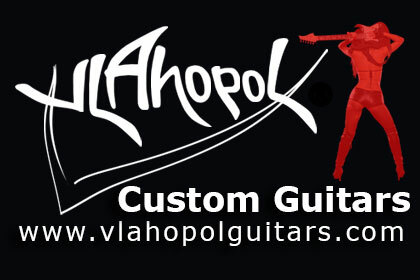 Guitarist, band leader, producer, song writer, radio and TV personality, session musician, Mihail (Michael) Vlahopol – half Greek – is well known as Mike or “Sharky”. Mike was born in the winter of December 1970. He started to play guitar when he was 15 and a half (1985 – 1986) when his father brought home a 7 string Russian guitar for 50 LEI (about 3 US dollars – old times 1985-1986). He started to learn guitar on his own due to the lack of books and teaching materials. After a year or so he started to make good friends between some of the best musicians in Romania of that time , when he was encouraged by them to make a band (Laur Simniceanu – guitar, Cristi Marinescu – guitar, Fisa – Keyboards, Florin Ionescu – drums, Adrian Ordeanu – Guitar, Lelut – drums, Teo Peter – bass, Sorin Chifiriuc- guitar and many others). He started to play in the first band during high school. First hard rock and later on, he evolved to Heavy Metal and Progressive rock. 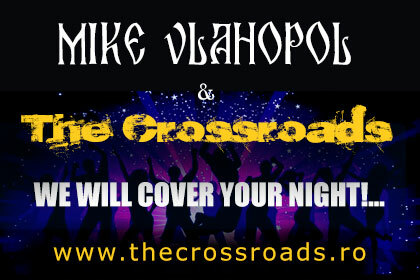 Only late in 1996 “he got to the crossroads and met with the blues” when he was invited to jam with some bands due to Christmas and the New Year’s Eve. Mike is an imposing man with remarkable stage presence, at 1.87m (six foot-two) with a cool American look on stage. Due to his craziness, on stage Mike is able to make people – most of the times – to stand up dance, jump on tables and feel good. Having technical possibilities on rock, blues, and pop performances helped him over the years to become a regular fixture on Romanian television, radio and news papers as a figure of public celebrity. He has appeared in feature articles, not only in the music press, but in the biggest news papers Romania has such as: “Romania Libera”, “Evenimentul zilei”, “Evenimentul Muzical”, “National”, “Libertatea”, “Cotidianul”, “V.I.P. 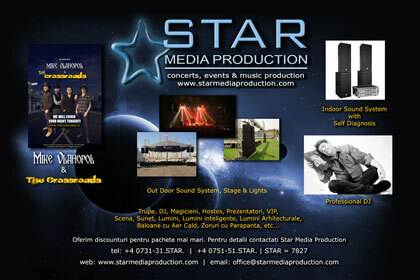 – magazin”, “Capital”, “Vox Pop Rock” and few others. With 15+ years of professional experience in various top Romanian popular music groups, Mike made a move on his own as a bandleader back in 1993 with “…Of The Lord!” the first Christian rock band in Romania that made it to the Romanian mainstream with no compromising, after only five months of existing. The band at that time has debuted as a support band in the Manic Depression Tour for Schnitt Acht and Garden of Eden. Right after the Romanian revolution while he started some other bigger projects sounds and frequencies captures his attention and due to his good English he managed to be the stage coordinator for most of the shows in Romania when a foreign artist toured Romania. Enrique Iglesias, Garden of Eden, Schicht Acht, Tiamat and few others. Probably the most happy earthly moments of Mike’s life were when he personally met and spent personal time with Jennifer Batten (guitar player of Michael Jackson), David Cloverdale (Whitesnake), Steve Vai, Mike Kenelly, Mike Mangini, Dean Wiliams, Steve Clark, and few others. Jennifer and Steve have encouraged Mike to keep up the good work he even had time to get some guitar technical input from two of them. Becoming well known Mike had an opportunity to have once a week his own radio show for over a year on the best radio of that time Radio Total. Here Is a list with the most important bands he worked with or recorded for since he started to play.